Set Clear! Lights, Camera. . .Action! Aaron Newman, the director of this film-in-production, has shown us the set that he has created. The question is, what is being filmed here?! The next Star Wars film? Another Marvel, or DC superhero film?! What is this new film?!?! Needless to say, this behind the scenes LEGO shot is truly done to near perfection. 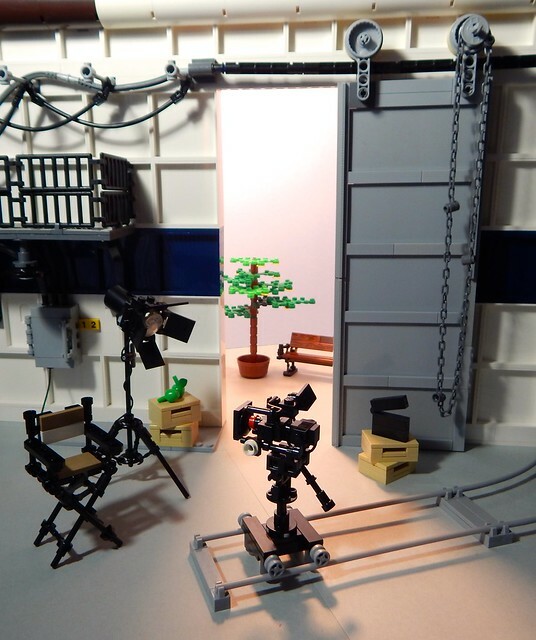 Even the little details such as the director's chair, the large lights, and the camera on the custom track look very realistic.